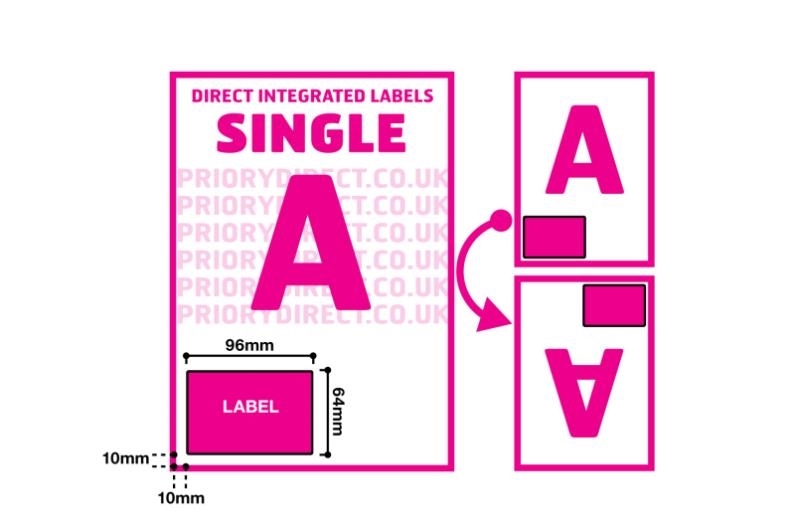 Single Integrated Label Style A contains one removable self-adhesive area. 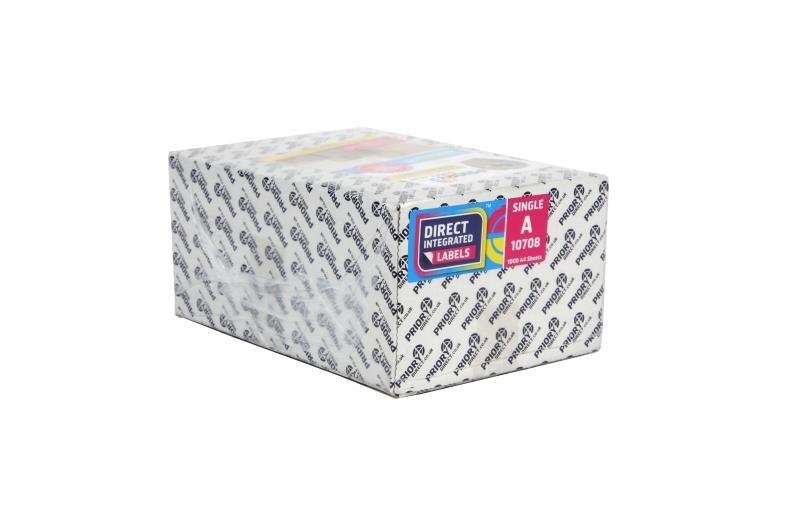 It is ideal for printing a packing note or invoice and dispatch label in one pass. 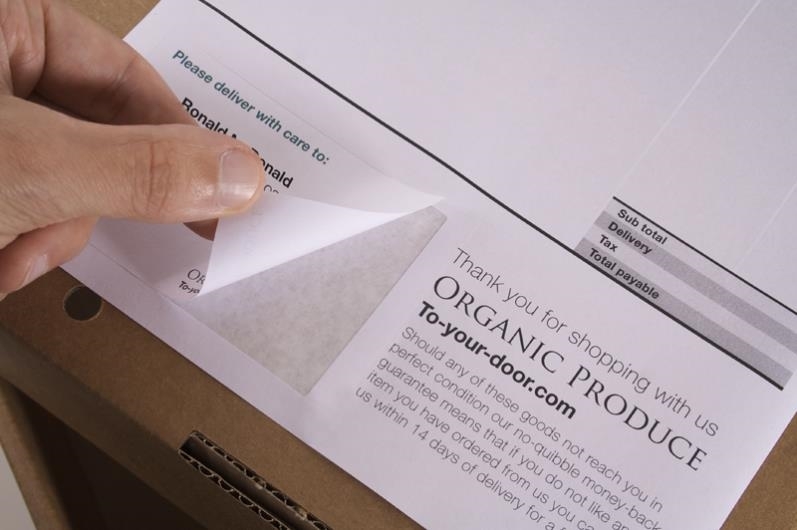 The label area is situated 10mm from the left and foot of each sheet, a versatile position for use with lots of e-tailer platforms. 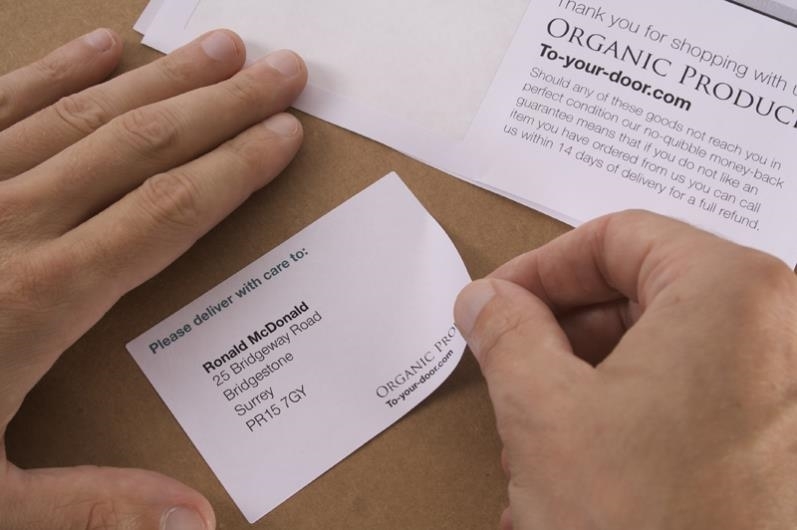 The label size is 96mm x 64mm giving plenty of space for PPI as well as address information. Popular platforms include: Amazon, Channel Advisor, osCommerce, EKMpowershop.com, Paypal, Magento, Volo, Zenstores, ClickCartPro, Just Ship It.